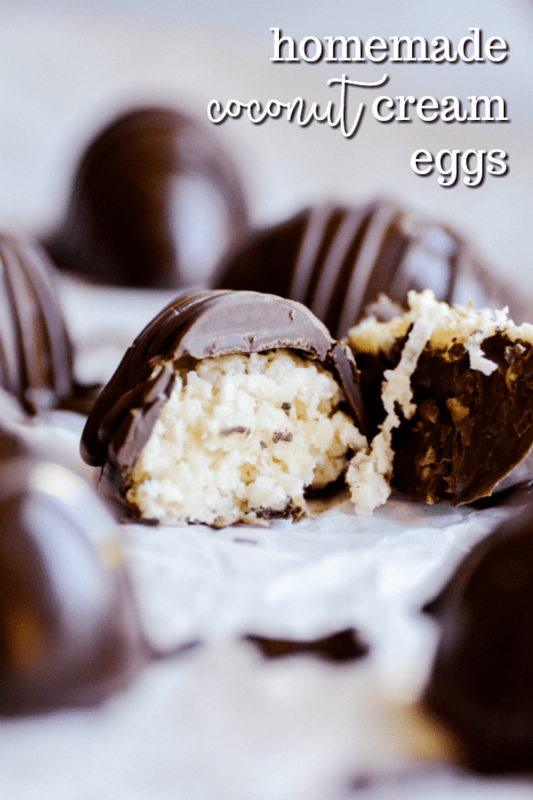 These Homemade Coconut Cream Filled Eggs are so much easier to make than you would think! Made with simple and easy-to-find ingredients, you could have these made and ready to eat about 30 minutes. 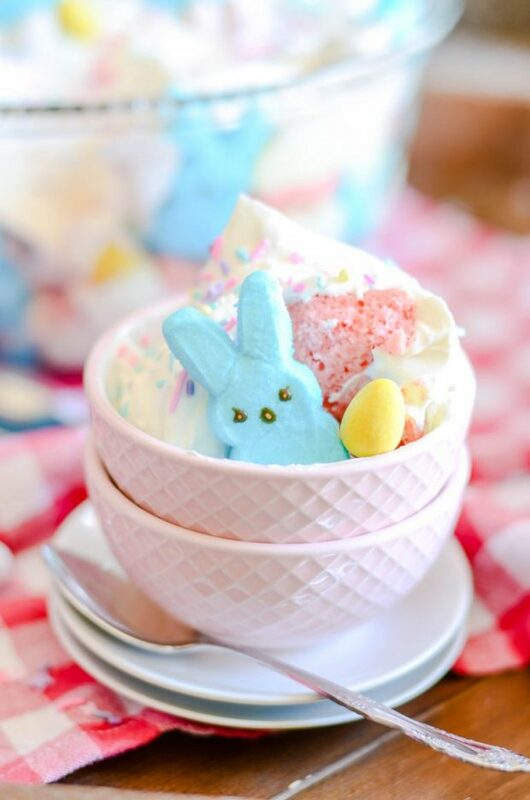 CHECK OUT ALL OF MY EASTER RECIPES HERE. I bought this silicone egg mold (it’s Prime) just for fun, but you really don’t need it. 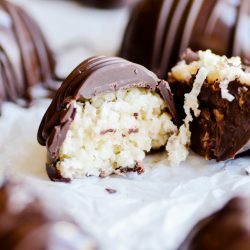 You can easily form the coconut filling into an egg shape by hand and then dip it in the chocolate. My husband strongly felt that these needed almonds. So I’ll leave that up to you ☺️. Use an electric mixer to whisk together the shortening, marshmallow cream, and powdered sugar. 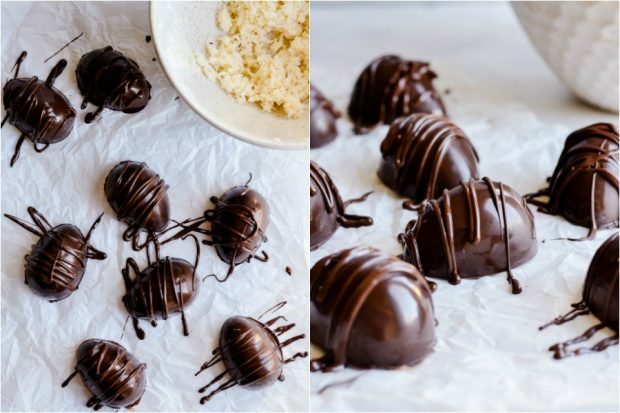 Shape two tablespoons of the coconut cream into an egg shape and place on a cookie sheet lined with parchment paper. Repeat with remaining coconut cream filling. Place the filling in the freezer for 5 minutes. Melt the chocolate according to the directions on the package. 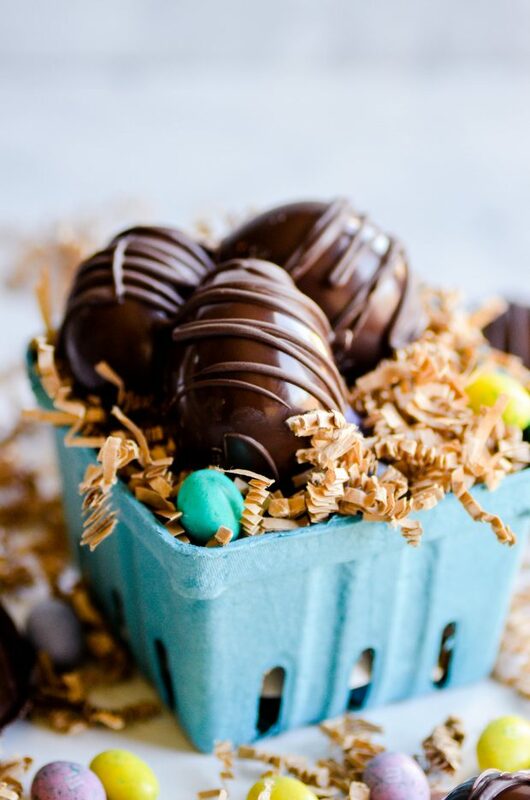 Use a fork to dip each egg in the chocolate, and allow the excess to drip back into the bowl. 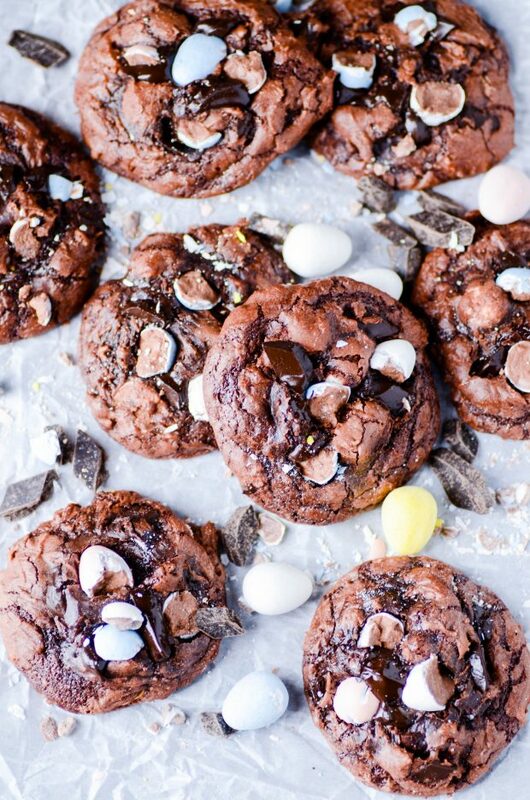 Place each egg back on the parchment paper and let the chocolate cool to harden. 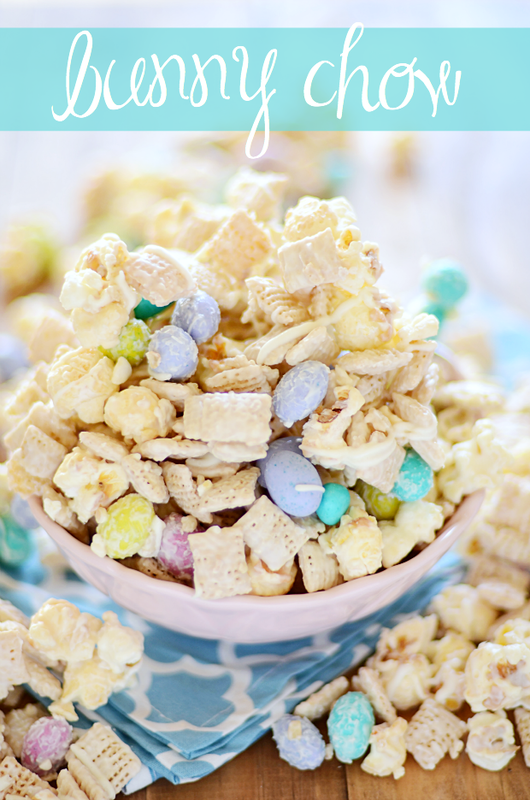 Here are more of my Easter faves!